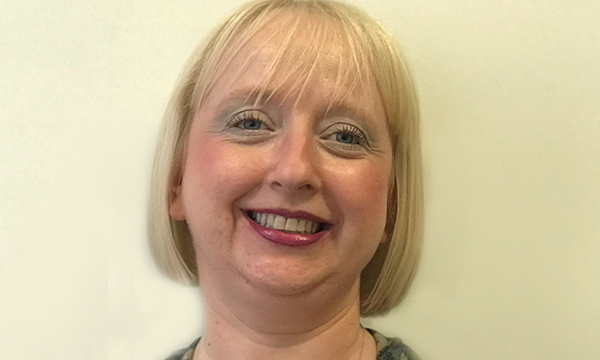 I am a Macmillan hepato-pancreato-biliary (HPB) clinical nurse specialist at Wrightington, Wigan and Leigh NHS Foundation Trust. My role involves working with patients and families affected by malignancy of HPB origin. I work with patients and families with a suspicion or confirmation of malignancy of HPB origin. In the past 18 months, I have successfully devised and implemented the nurse-led accelerated jaundice pathway, which is aimed at achieving earlier diagnosis for patients with HPB malignancy with the intention of more patients being eligible for surgical intervention. Nursing is the only job I ever wanted to do. At the age of nine, I wrote to Macmillan to tell them I wanted to be a Macmillan nurse when I grew up. As much as it may sound like a cliché, nursing for me, is not a job, it is my vocation. The saying ‘choose a job you love and you will never work a day in your life’ could not be more true. Why did you choose to specialise? I always knew I wanted to work in cancer care. Initially, I thought this would perhaps be in palliative care, but always felt that the patients receiving a diagnosis of HPB malignancy were the forgotten group, as one of the last tumour sites to have site-specific nurses. With HPB, there is no available screening programme, self-examination is not possible and survival rates from these cancers have seen little improvement over the past 40 years. I felt drawn to this to try to advocate for this patient group. On qualifying, I worked in critical care before moving on to emergency medicine. I then worked in oncology, first as a chemotherapy nurse, a community manager with Marie Curie, and then in acute oncology. I led the implementation of a 24-hour acute oncology telephone helpline, triaging patients who were experiencing any side effects of their anti-cancer treatment ensuring timely intervention and urgent admission, and appropriate treatment for oncological emergencies. The contact I have with patients and their families. Being able to make a difference to them at what can potentially be the most devastating time of their lives. In equal measure, I also enjoy the teaching aspect of my role: having the opportunity to teach others about my job, but also about early signs and symptoms of HPB malignancies can make a real difference to achieving an earlier diagnosis. Compassion, empathy, excellent communication skills, determination and an ability to maintain hope. As a married mum of two, I value and cherish time with my family. I enjoy bootcamp style training and as part of a team have completed the Born Survivor military obstacle course. What nursing achievement are you proudest of? I am immensely proud of successfully devising and implementing the nurse-led accelerated jaundice pathway. The results that we have seen (a 62% cancer pick up rate) have exceeded any hopes we held before the implementation. As a district general hospital, expediting these diagnostics by using this pathway, enabling 40% of all patients to be referred to the surgical centre for potentially curative surgery, is my proudest achievement. What advice would you give a newly qualified nurse in your field? Consider the patient experience. Seek feedback from patients and families as well as colleagues. Never ever be afraid to ask questions. Always remember, you can and do make a difference to the patients you support, no matter how small that difference may seem. 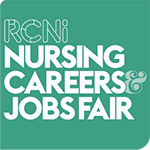 If you're looking for a new job, or aiming to develop your nursing career in 2019, come along to our next event. Go to www.careersandjobsfair.com to book your free place today.